Congressman Peter Welch (D-Vt.) isn't Vermont's first U.S. rep to consider a run for governor. Thirty-three years ago, his Republican predecessor, Jim Jeffords, faced a similarly tough decision. Mark Snelling, a Starksboro businessman and the son of the late governor Richard Snelling, recently came across a letter that shines new light on the situation. The elder Snelling had announced in the fall of 1981 that he would not seek a third term as governor the next year, but his supporters urged him to reconsider. 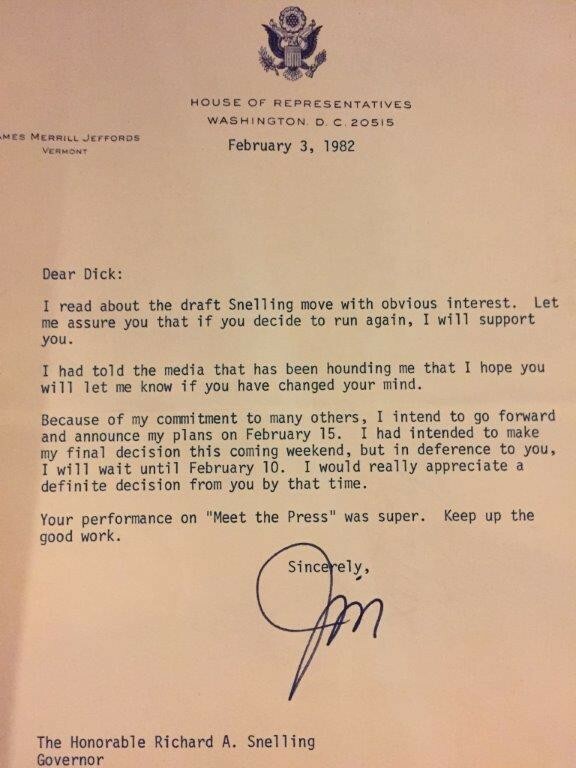 In the letter, dated Feb. 3, 1982, Jeffords told Snelling that he was making his own plans to run for governor, but would defer to the incumbent. Both were Republicans, but the two were not close. Jeffords added, "Your performance on 'Meet the Press' was super. Keep up the good work." Five days later, Jeffords announced that he would seek another term in the U.S. House. Snelling would go on to serve that fourth term, take a break from elected office and return in 1990 to defeat Welch for a gubernatorial seat being vacated by Madeleine Kunin. 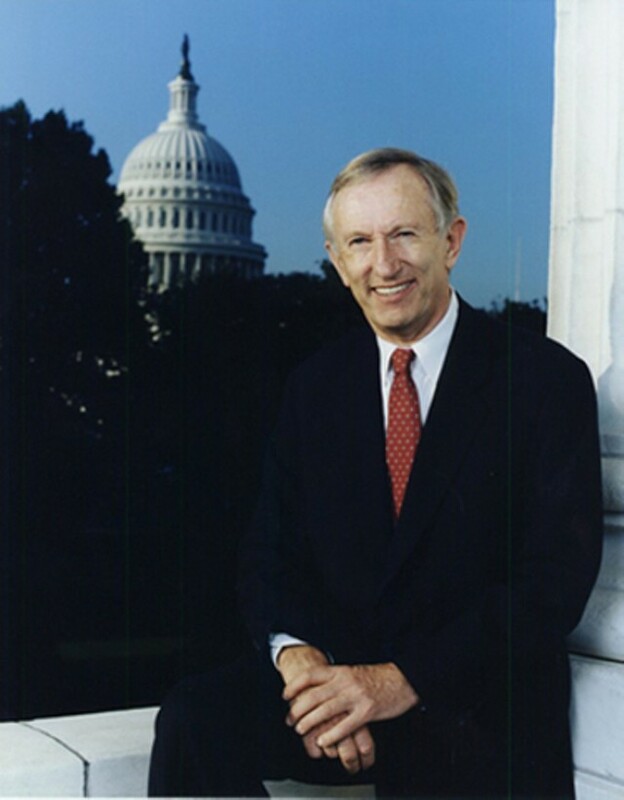 Jeffords spent six more years in the House before moving to the U.S. Senate in 1988, following the retirement of Republican Robert Stafford. There, Jeffords made history in 2001 by leaving the Republican Party, which suddenly put Democrats in the majority. Welch went on to win the U.S. House seat in 2006, after Jeffords retired from the Senate and Bernie Sanders moved from the House to the Senate.